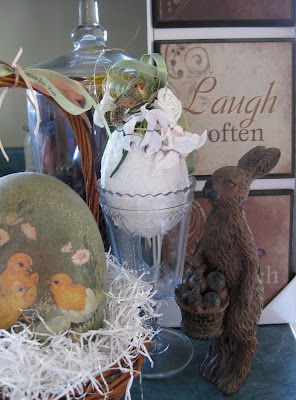 ~ Cider Antiques ~: Happy Easter ! I think my favorite "yummy" was this cute Ice Cream Cake. I bought a wonderful standing bunny for Easter this year. I think he is quite charming. He looks great with the Easter Egg I received from Monica, The White Bench. We participated in an Easter Swap last year. I still love all your wonderful creations Monica! Happy Easter! That ice cream cake is adorable! How cute! Wishing you and your family a very happy Easter, Karen. The icecream cake looks delicious and love the standing chocolate Rabbit and the sweet Easter gift from Monica. How lovely! I so enjoyed making something for you last year! Glad you love it! Hi Karen...thank-you for your visit. 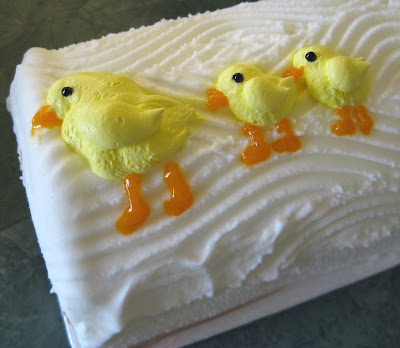 Your cake looks lovely...hope you had a wonderful Easter. You are having some pretty nice weather there. Enjoy it while it lasts! 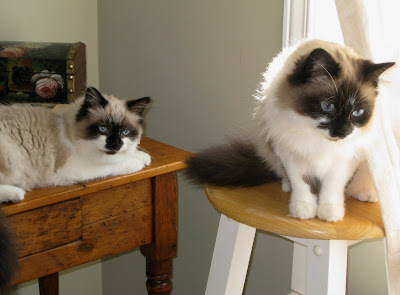 The cats look so sweet together. Everything is so adorable, the cats, the cake <3 Thanks for posting! If I could take a piece of the ice cream cake right from my computer screen I would. I am drooling. Oh my gosh the kitties are so cute!!! The ice cream cake looks yummy-ice cream cake is my favorite:). 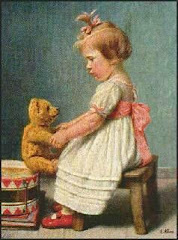 BTW, when you get a chance check out http://confessionsofajunkyardcat.blogspot.com. Being a cat (and dog) person you'll enjoy it.